MDC Alliance has accused Zanu PF and State agents of creating fake news to incite people into a violent revolt following the Constitutional Court ruling last Friday that necessitated the inauguration of President Emmerson Mnangagwa yesterday. The MDC Alliance lost its bid to overturn Mnangagwa’s victory on Friday, but the opposition party has maintained it will not accept Mnangagwa’s victory, claiming he stole the elections with the help of the Zimbabwe Electoral Commission (Zec). In the run-up to the inauguration, social media was awash with messages purporting to have been emanating from Morgan Tsvangirai House (Harvest House), instructing people to revolt and cause trouble in Harare. 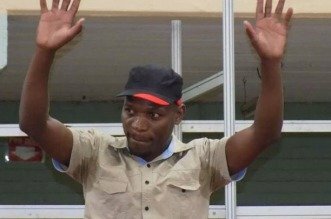 However, the youth leader in the Nelson Chamisa-led outfit, Happymore Chidziva said people must be wary of Zanu PF elements trying to incite and cause problems in the country. He said, as a party, they do their programmes in such a manner that was contrary to the incitement peddled by their detractors. “Zanu PF and State security agents want to create chaos in the MDC, they have been doing this for a while and if you look, that is why most demonstrations turn violent because of these elements that spread fake news to foment chaos,” Chidziva said. “We have our own way of communication and our people know that. “The people must remain calm. We have constitutional way that we shall use to reclaim our stolen victory. Let them wait for the signal that is coming soon and we will not rest until we rescue our nation from the jaws of poverty and violence,” he said. On August 1, seven people died in Harare following the military intervention to thwart protestors in the central business district. The opposition led peaceful demonstrations in the buildup to the July 30 elections and has always accused Zanu PF and State agents of infiltrating them to cause chaos that will later be blamed on the opposition.